WHAT ACCOMPANIES A HUGE, TATTOOED STRANGER TO A TINY HIGHLAND TOWN? DEATH. 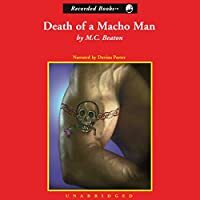 Everybody in Lochdubh knew about the Macho Man, a mean bully claiming to be a professional wrestler. His insults at the local pub caused some bonny brawls. His sneaking around aroused suspicion that he was romancing some Lochdubh wives. 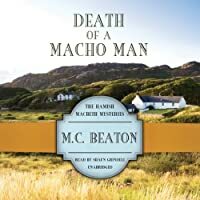 And his challenging policeman Hamish Macbeth to a public bout triggered an epidemic of bookmaking. 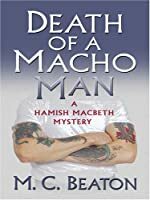 Everyone expected Hamish to take a bloody pounding; no one expected a murder. Amid all the excitement Hamish would rather be fishing for salmon instead of clues. 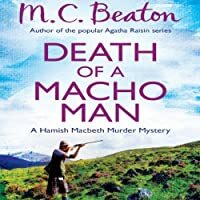 But the brutal Macho Man left a trail of hatred and fear in his wake--even managing to disrupt Hamish's career...reason enough for a stub-born Scots cop to comb the Highlands if necessary to track down a heartless killer.